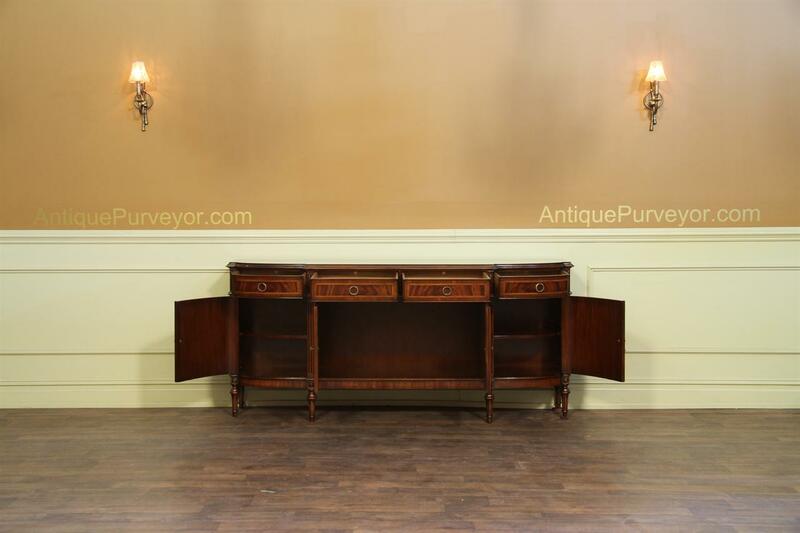 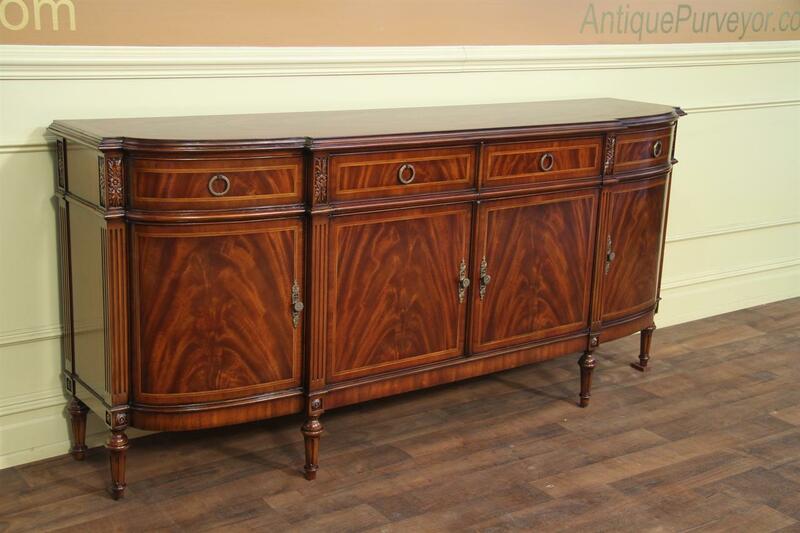 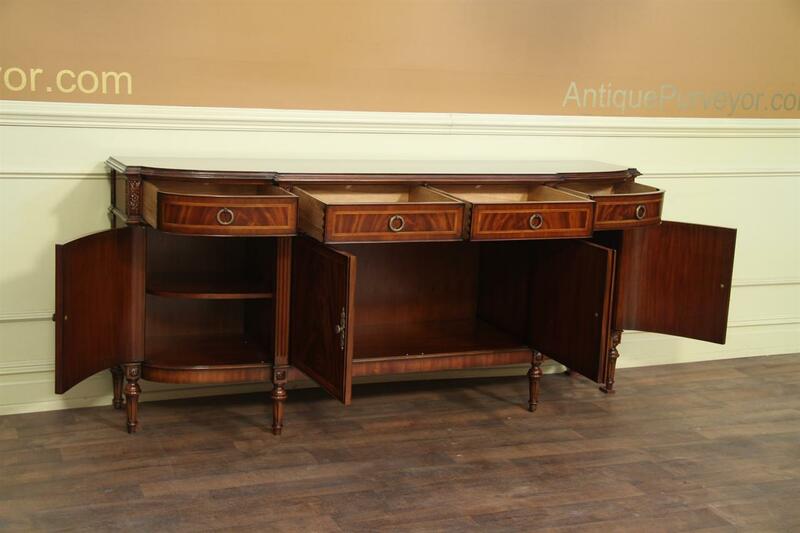 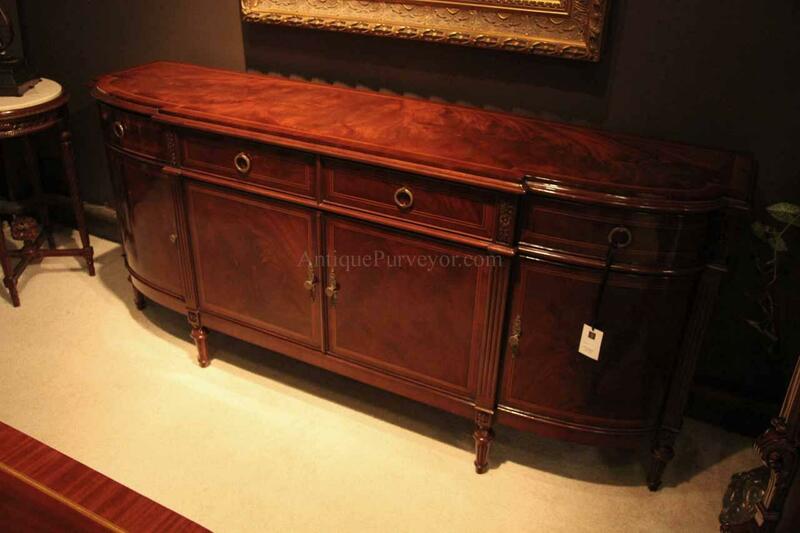 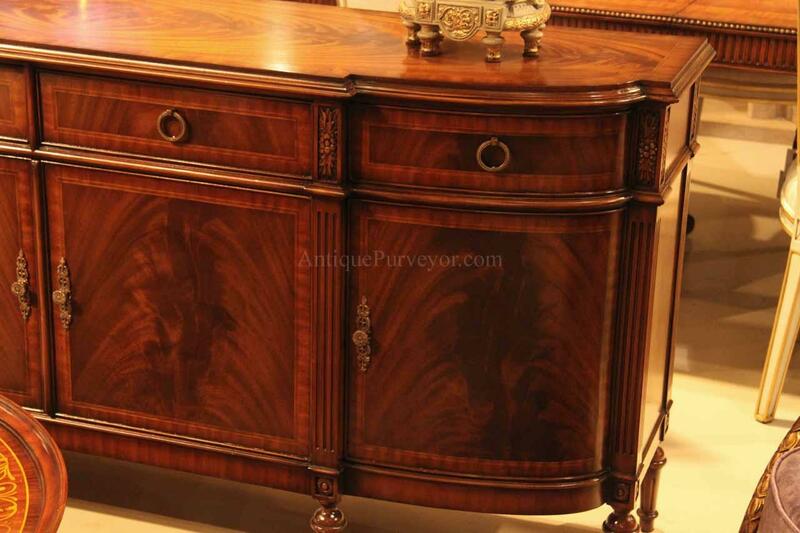 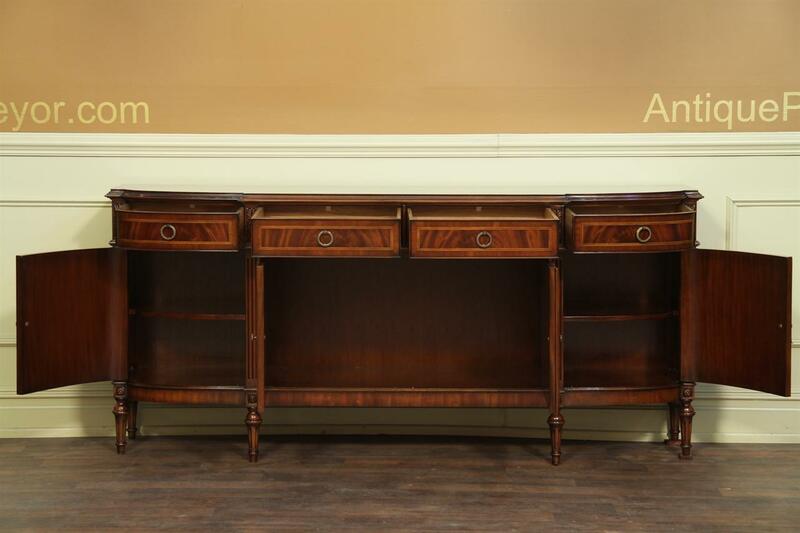 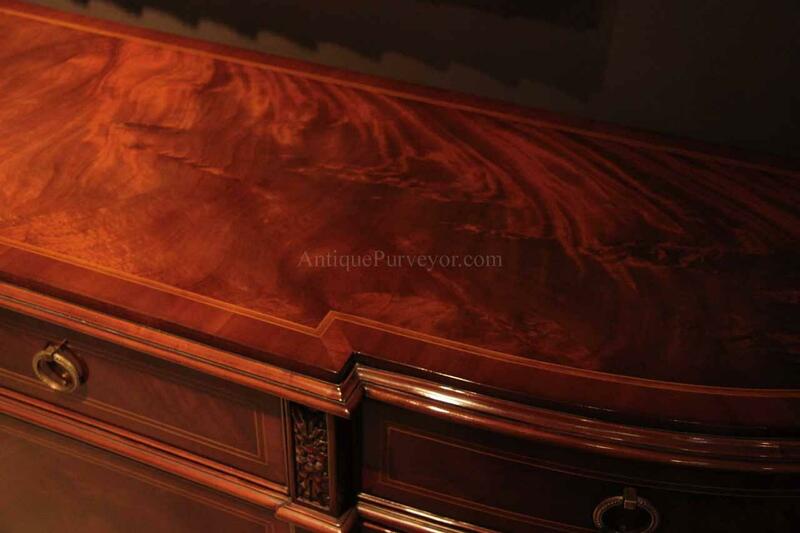 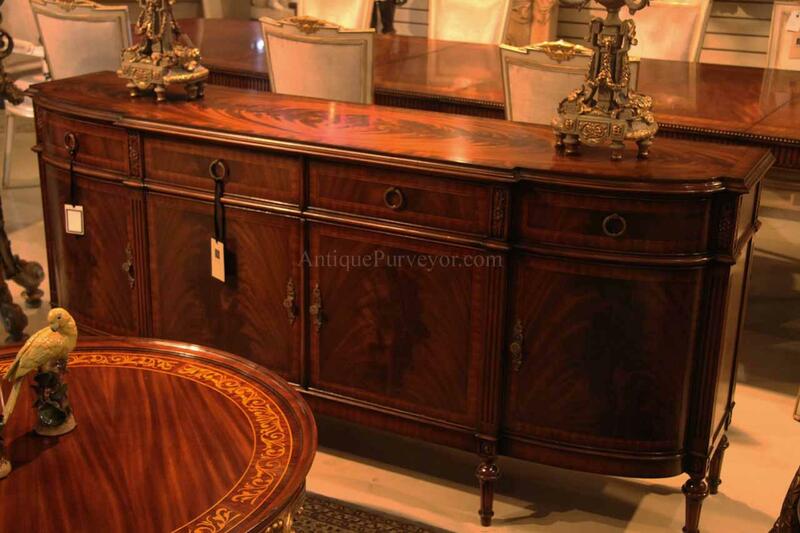 Description: High end french style mahogany sideboard. 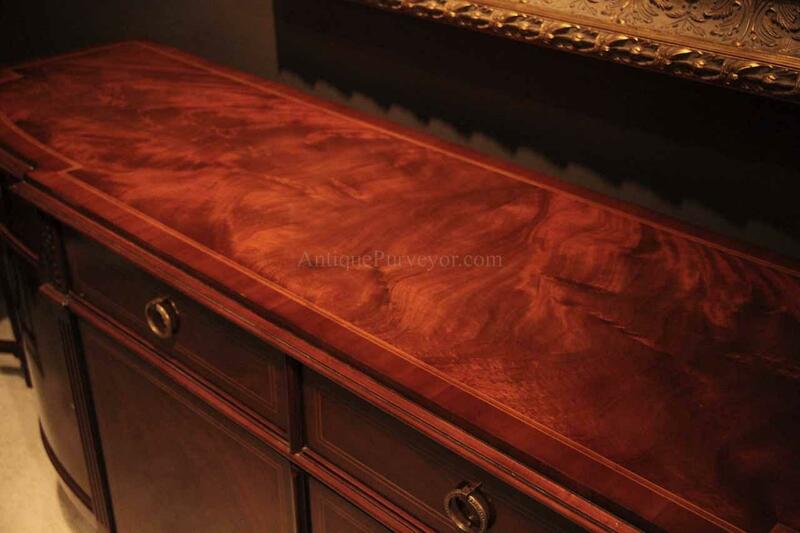 This is a very heavy and solid cabinet. 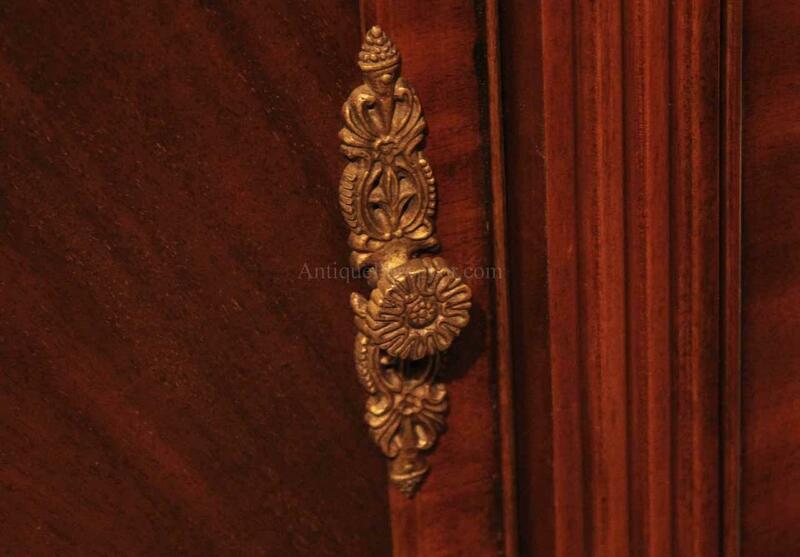 The door panels are crossbanded with satinwood and have custom brass hardware. 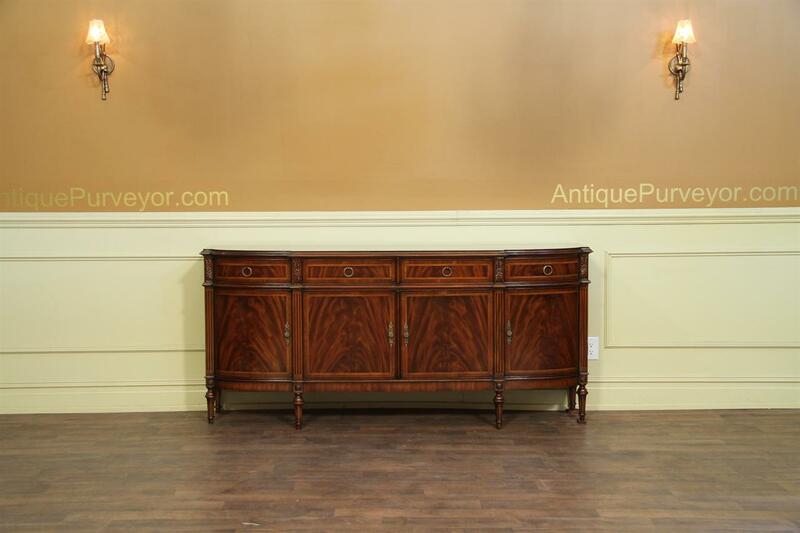 This sideboard has great storage. 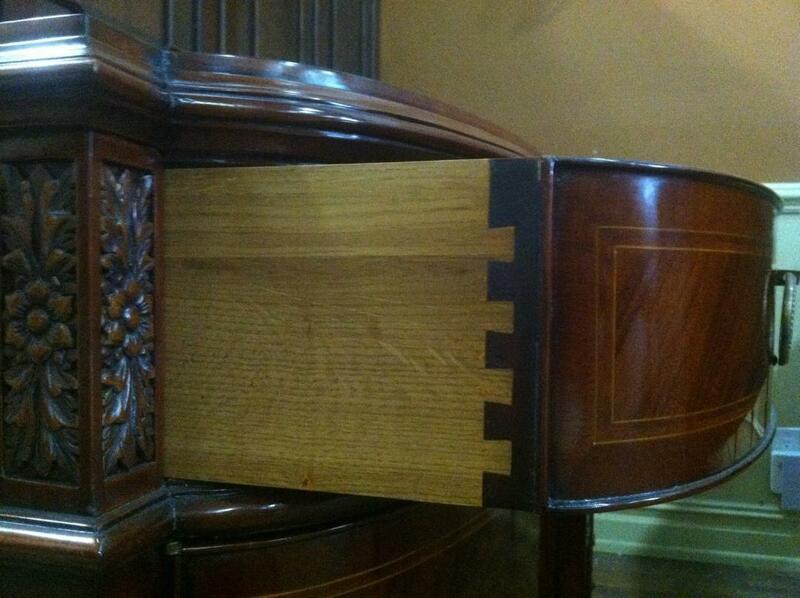 Each of the four doors open to reveal adjustable shelves. 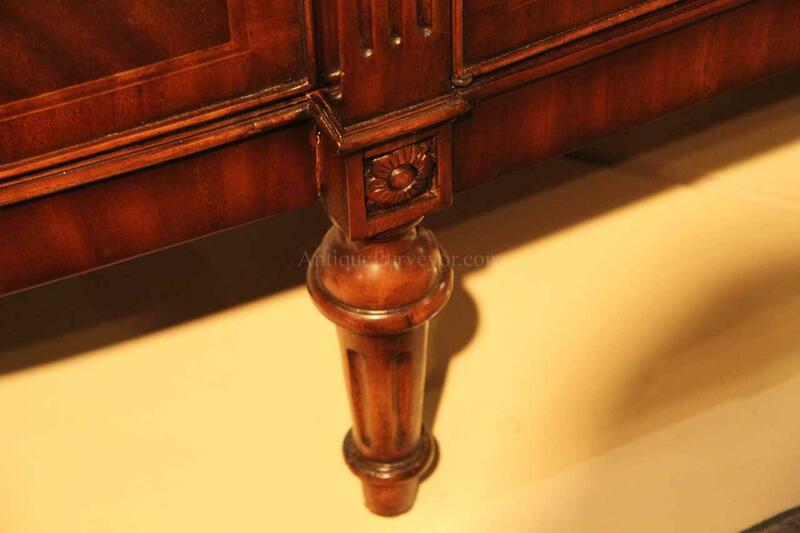 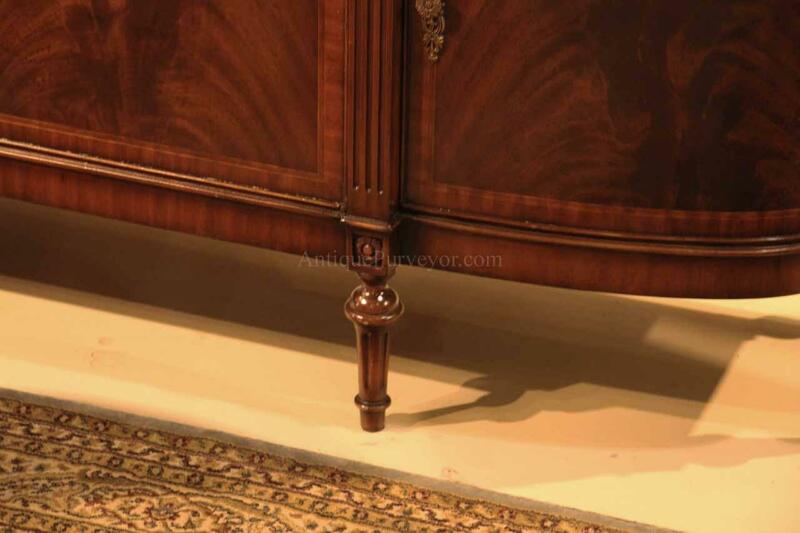 6 short stout French style legs hold the cabinet sturdy. 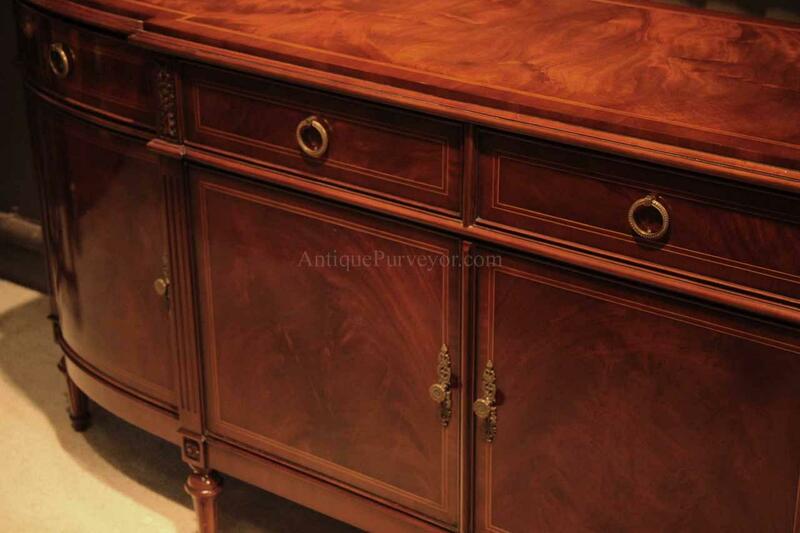 You will appreciate the quality of this cabinet as soon as you see it. 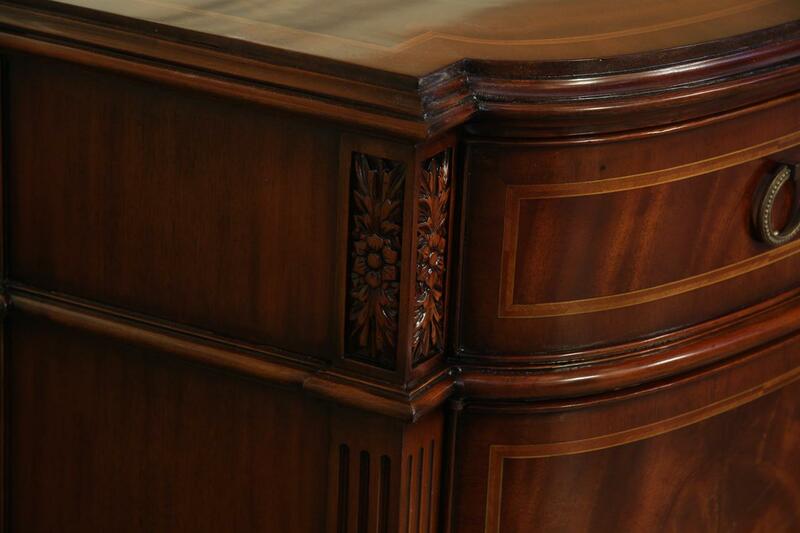 Try moving it and youll be impressed with the overall quality and significance of the cabinet. 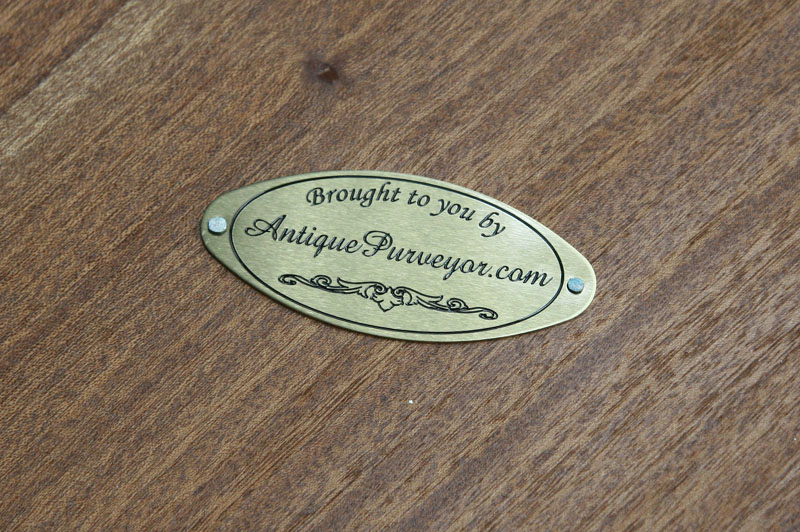 Fair price point is hard to beat and the full bodied style and functionality is hard to find as well.